The Department of Petroleum Resources, DPR in Plateau State has appealed for calm as the fuel scarcity persists in the State and assured that the commodity would be made available as Government is not resting on its oars to ensure its availability. DPR’s Operation Manager, Jos Field Office, Jeremiah Mashiat who monitored the sales of the commodity in the filling stations where they were available to ensure compliance to regulated price appealed to residents not to link the scarcity with the Christmas celebration. He said “the supply has dipped in the past three weeks, from 4th of December to date, we had received only 214 trucks and if you divide that by the number of days, you get an average of about 10 trucks per day and we have 17 local government areas in the State. “People say there has been diversion of fuel but with this kind of meager supply, we monitor every movement of the trucks. There have been some administrative challenges nationwide, but Government is working on remedying the situation because they know that people are really suffering. Meanwhile, the commodity is sold at the normal price of N145 per litre at registered stations while black market sells between N250 and N300. 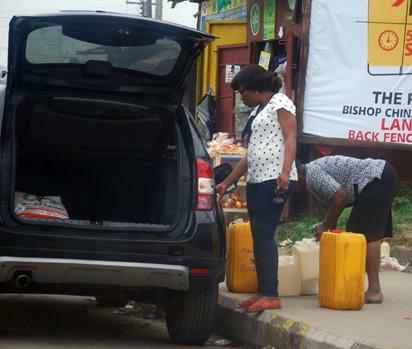 The post Scarcity: DPR monitors fuel stations in Plateau appeared first on Vanguard News.